Last week, you saw U.S. and Russian relations hit a new post-Cold War low. President Donald Trump labeled them as the worst they have ever been in response to Russian activities over the last few weeks. The latest Russian involvement in continuing to stand by and aid the Syrian regime as it used chemical weapons on its own people again has only made matters worse. The continuous increase in tensions between the world's two great military super powers should give you cause for concern. 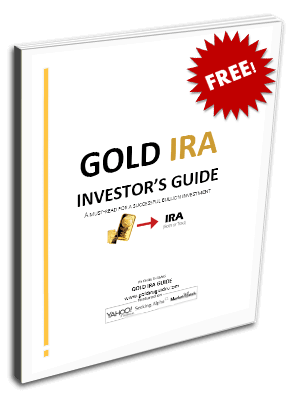 In times of geopolitical instability like this, IRA-approved gold is your investment and retirement portfolio hedge and safe haven. This is why gold makes sense in an IRA. Now is the time to review Gold IRA rollover rules and regulations. The situation between the West and Russia has gone downhill rapidly over recent events that included the accused Russian poisoning of a one-time spy living in Britain. This led to an international condemnation and cooperation in expelling over 150 Russian diplomats from the United Kingdom, the U.S., and other allies. Next the U.S. continued the retaliations against the country with brand new sanctions on oligarchs from Russia. The company of billionaire aluminum tycoon Oleg Deripaska experienced a 50 percent plunge in its market value on the day after the sanction announcement. Russian experts are already declaring that the relationship between the two nations that began to decline when Russian invaded Ukraine years ago may be impossible to salvage for a long time to come. Mutual anger and suspicion have poisoned the well for both parties so badly that it looks impossible for them to come back to the table together. The joint missile strike on Syrian facilities may be what pushed the Russians' relationship past the point of no return with the U.S. and its allies. Friday night saw the United States with the U.K. and France fire a combined set of missiles against three Syrian chemical weapons' production facilities. It makes sense that the Russians are particularly angry at the attack on the sphere of greatest influence in the Middle East. For years the Russians have supported Syria's President Bashar al-Assad. The country represents a primary naval base and point of access into the Mediterranean Sea for Russian war ships. Moscow has heavily invested in military equipment that their military has delivered to the Syrian government so that they can overcome the rebels that almost toppled President Assad back in 2011 during the civil war. Since the missile attack on Syria, Russian and American diplomats are not even able to sit at a common table without trading attacks and insults. What concrete action these ambiguous threats will translate to is anybody's guess right now. “go directly to any sorts of companies that were dealing with equipment” pertaining to the Syrian regime and its chemical weapons' programs. It is now the Russians' turn to retaliate for the many perceived insults and injuries to their national pride. Russian lawmakers began discussions today on writing a law that would unveil retaliatory sanctions on the United States. Among their arsenal is the five percent of total needed U.S. nuclear reactor enriched uranium that comes from Russia. It is time-tested precious metals that will protect your retirement portfolio from the new global instability and hostility between the United States and Russia. Gold boasts a five thousand year track record in this roll of safeguarding financial assets and value. Today is a good time to review the top five gold coins for investors before the bilateral relationship and regional points of conflict grow any worse. The IRS will even allow you to keep your IRA account precious metals in top offshore storage locations now.